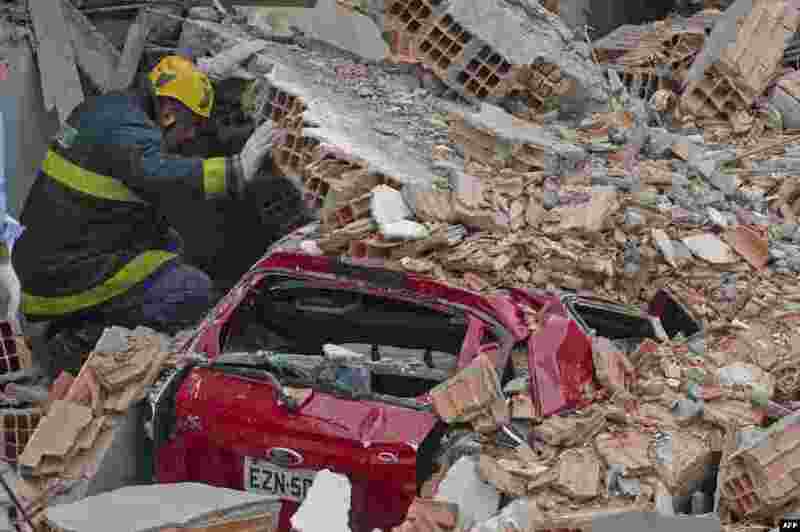 1 Rescuers work amid the rubble of a building in construction that collapsed killing a least six people and injuring at least 22 in Sao Paulo, Brazil. 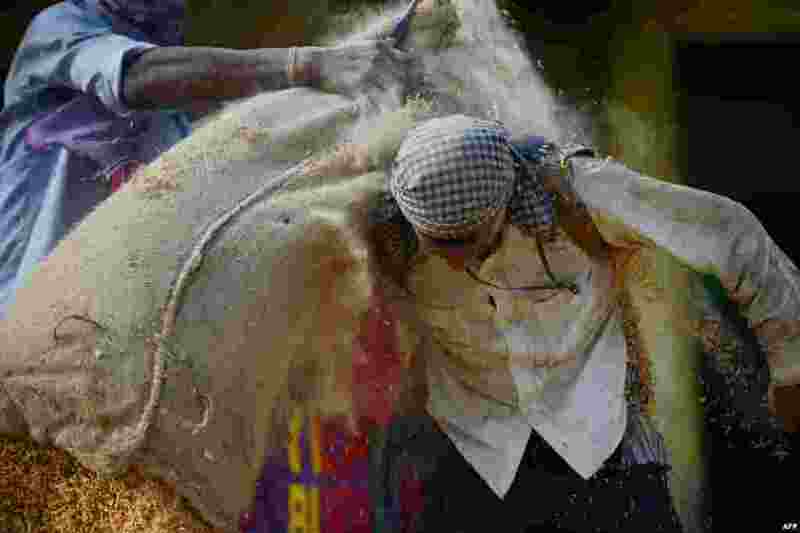 2 An Indian day laborer struggles to unload a 60 kg bag of rice at a grains depot near New Delhi. 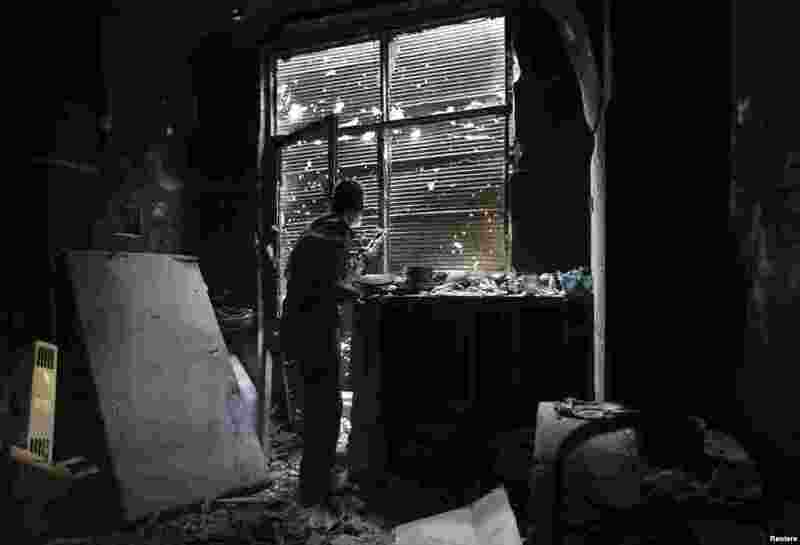 3 A Free Syrian Army fighter looks outside while holding his weapon as he takes cover inside a damaged shop in the old city of Aleppo, Syria. 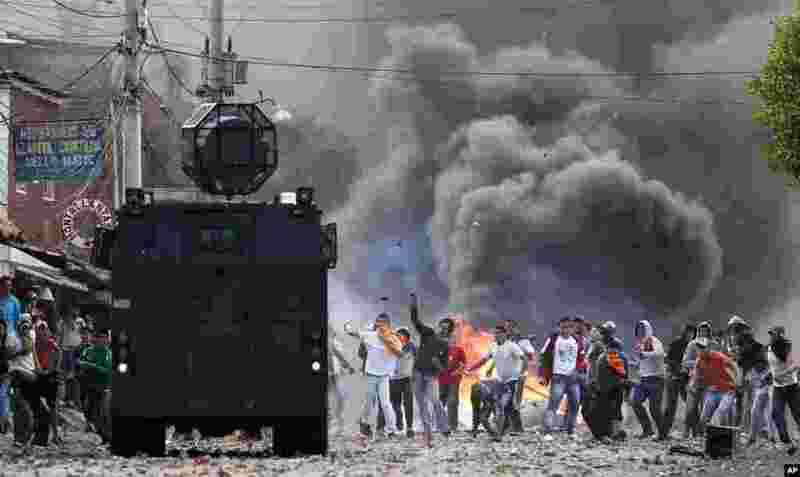 4 Protesters throw stones at a police vehicle in Ubate, north of Bogota, Colombia, Aug. 26, 2013. Hundreds of protesters clashed with police in support of farmers who had being blockading highways for a week for an assortment of demands that include reduced gasoline prices, increased subsidies and the cancellation of free trade agreements.